Scores 24 Highway MPG and 17 City MPG! 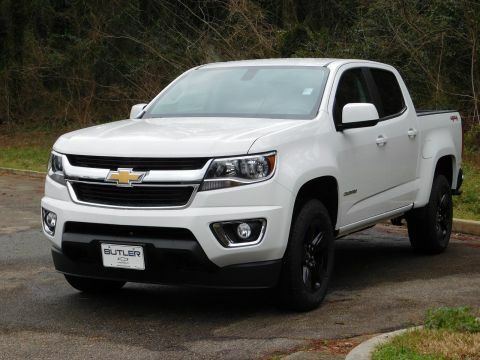 This Chevrolet Colorado delivers a Gas V6 3.6L/222 engine powering this Automatic transmission. 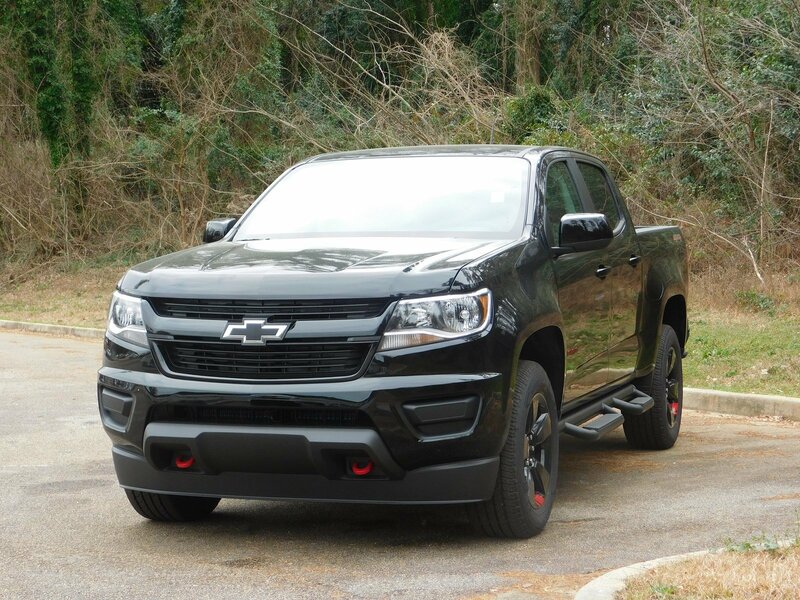 *Options:*TOW/HAUL MODE, REAR AXLE 3.42 RATIO, DIFFERENTIAL AUTOMATIC LOCKING REAR, TRAILERING PACKAGE HEAVY-DUTY includes trailer hitch and 7-pin connector, MOLDINGS BLACK BELTLINE, TRAILER BRAKE CONTROLLER INTEGRATED, REDLINE SPECIAL EDITION includes Black bowtie Black grille (CGN) Spray-on bedliner (RSZ) 18 aluminum wheel (RVP) Assist steps Black 3 round Off-road step bars LPO (UGA) Red Recovery Hooks (ZQ9) Exterior Trim Black Out Appearance Package and (BW5) Black beltline moldings, TIRES P265/60R18 ALL-SEASON BLACKWALL, ENGINE 3.6L DI DOHC V6 VVT (308 hp [230.0 kW] @ 6800 rpm 275 lb-ft of torque [373 N-m] @ 4000 rpm) (STD), WHEELS 18 ALUMINUM, SEATS FRONT BUCKET (STD), RED RECOVERY HOOKS, APPEARANCE PACKAGE EXTERIOR TRIM BLACK OUT, TIRE SPARE P265/70R16 ALL-SEASON BLACKWALL, LPO ASSIST STEPS BLACK 3 ROUND OFF-ROAD STEP BARS (dealer-installed), AUDIO SYSTEM CHEVROLET INFOTAINMENT 3 PLUS SYSTEM 8 diagonal HD color touchscreen AM/FM stereo Bluetooth audio streaming for 2 active devices Apple CarPlay and Android Auto capable enhanced voice recognition in-vehicle apps cloud connected personalization for select infotainment and vehicle settings. 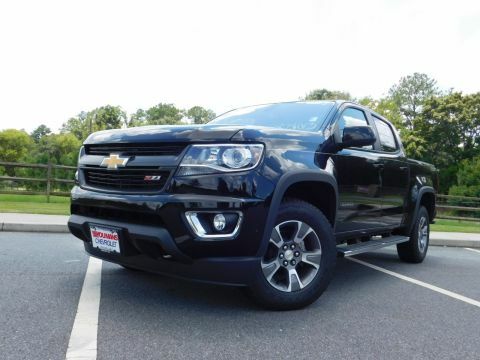 Subscription required for enhanced and connected services after trial period (STD), TRANSMISSION 8-SPEED AUTOMATIC (STD), LT PREFERRED EQUIPMENT GROUP includes standard equipment, BLACK, JET BLACK CLOTH SEAT TRIM, BEDLINER SPRAY-ON BLACK WITH CHEVROLET LOGO, GVWR 6000 LBS. 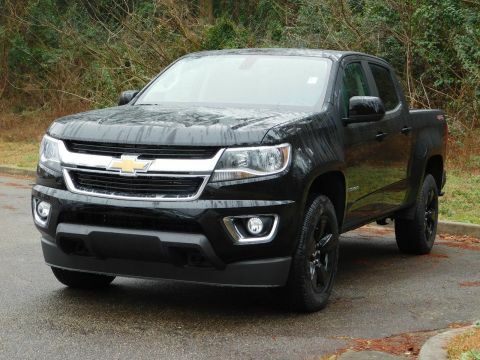 (2722 KG) (STD), Four Wheel Drive, Tow Hooks, ABS, 4-Wheel Disc Brakes, Aluminum Wheels, Tires - Front All-Season, Tires - Rear All-Season, Automatic Headlights, Power Mirror(s), AM/FM Stereo, Bluetooth Connection, Smart Device Integration, HD Radio, Auxiliary Audio Input, Satellite Radio, WiFi Hotspot, Bucket Seats, Power Driver Seat, Rear Bench Seat, Floor Mats, Leather Steering Wheel, Adjustable Steering Wheel, Steering Wheel Audio Controls, Power Windows, Cruise Control, Power Door Locks, Keyless Entry, Engine Immobilizer, Security System, A/C, Driver Vanity Mirror, Passenger Vanity Mirror, Driver Illuminated Vanity Mirror, Passenger Illuminated Visor Mirror, Front Reading Lamps, Traction Control, Stability Control, Daytime Running Lights, Driver Air Bag, Passenger Air Bag, Front Side Air Bag, Front Head Air Bag, Rear Head Air Bag, Passenger Air Bag Sensor, Telematics, Back-Up Camera, Tire Pressure Monitor* Stop By Today *Stop by Butler Chevrolet located at 2020 Riverside Dr, Macon, GA 31204 for a quick visit and a great vehicle!